The perfect union between body and mind, where coordination, balance and determination exist in harmony. Climbing can be simply described as the ascent of a hurdle. 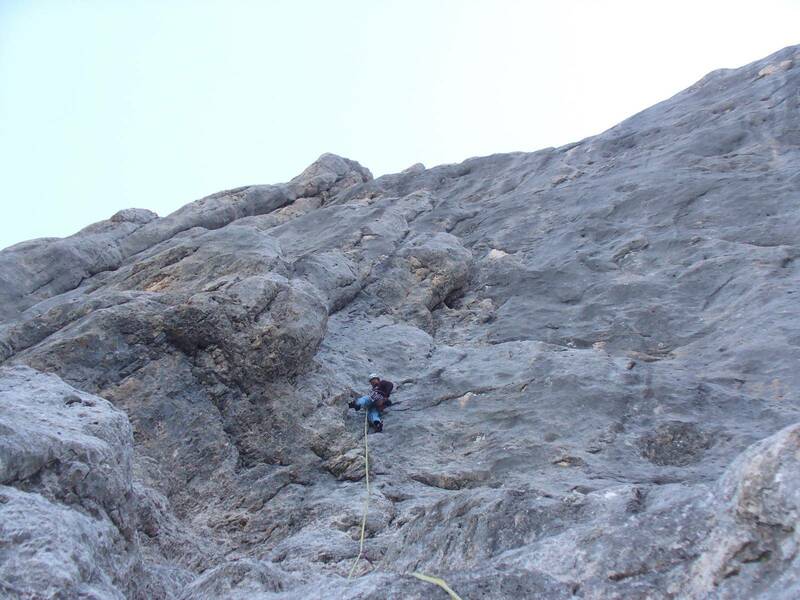 Climbing on a rock wall is the maximum expression of this discipline, it is my preferred terrain from where everything began. 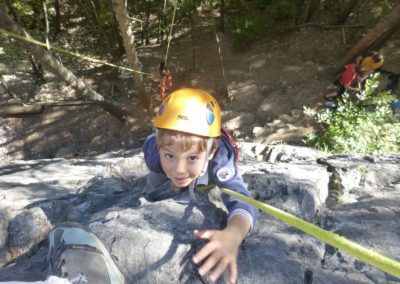 It is possible to climb on a boulder, on an artificial climbing wall or any urban structure. 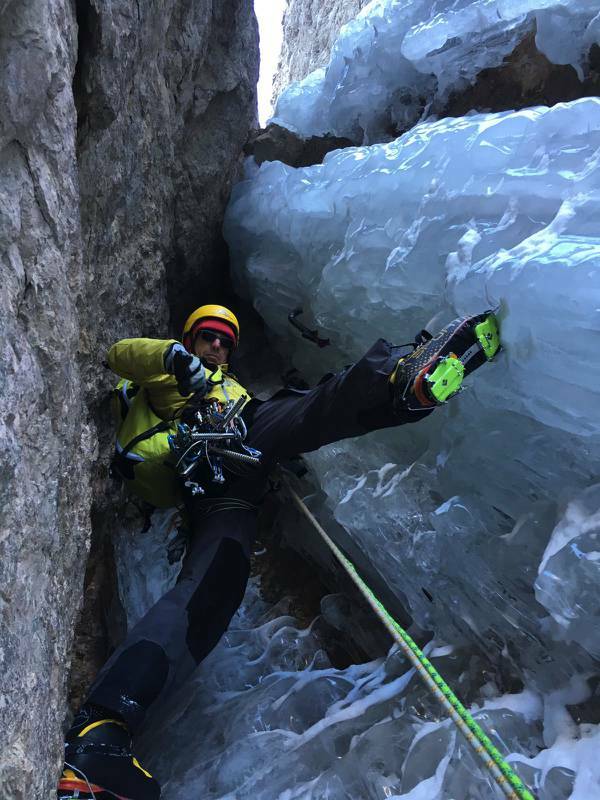 Climbing can be tackled on ice, using special gear. 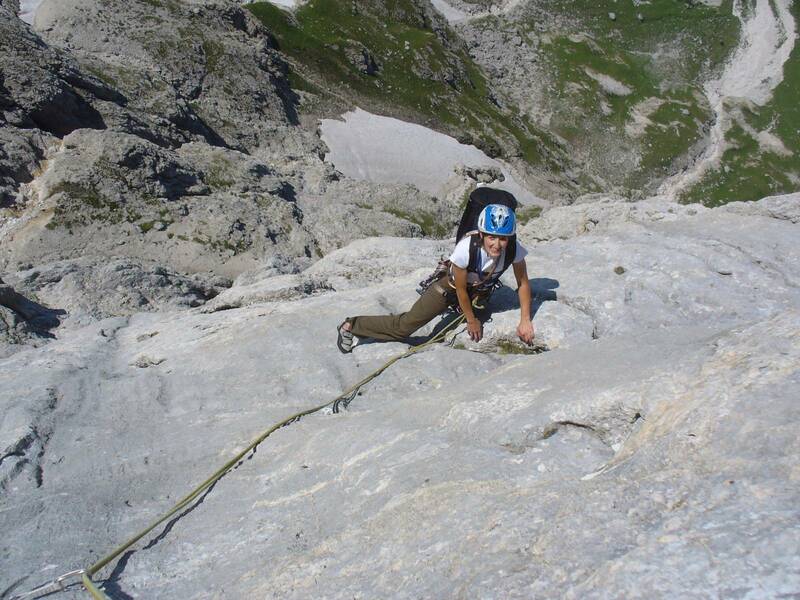 The itinerary tackled by climbing is known as a climbing route. This activity is extremely fascinating because it needs a special union between body and mind where coordination, balance and determination live together in harmony. 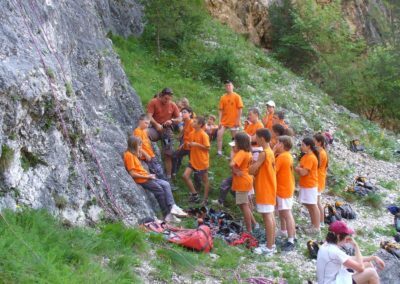 Sports climbing is very well known nowadays this is also thanks to the many new indoor facilities present in many of our cities. 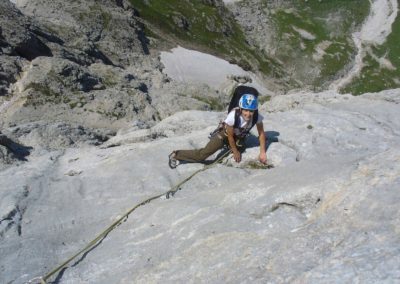 It is possible to climb on natural walls, rock faces, where permanent protection has been positioned and guarantees safe protection for climbers. 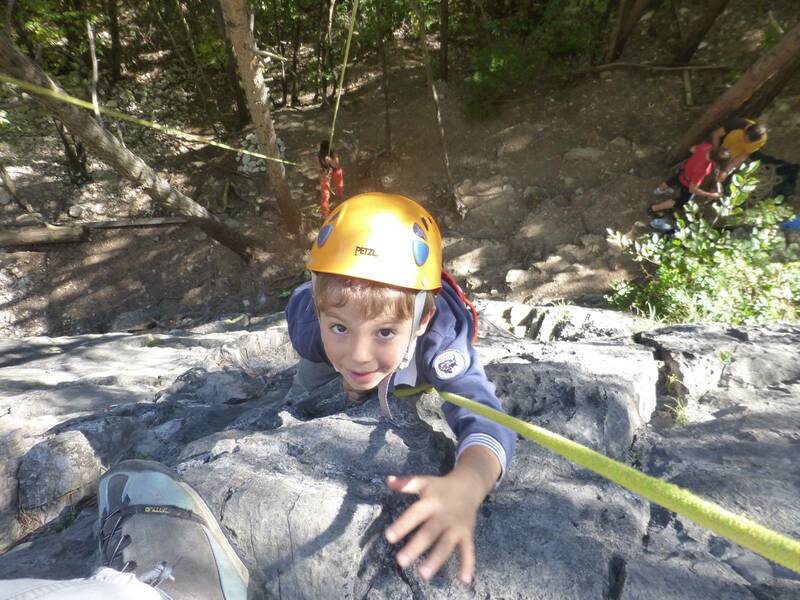 Since gear is used exclusively for belaying and not to help one progress up the rock wall, sports climbing is also known as free climbing. 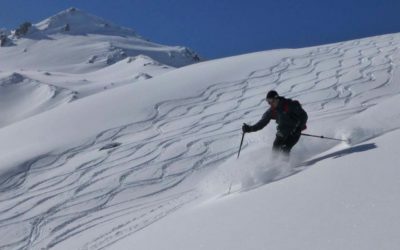 I offer beginner’s courses, courses for people wishing to fine-tune their technique, courses to improve motor technique and mental strategies to improve one’s level. 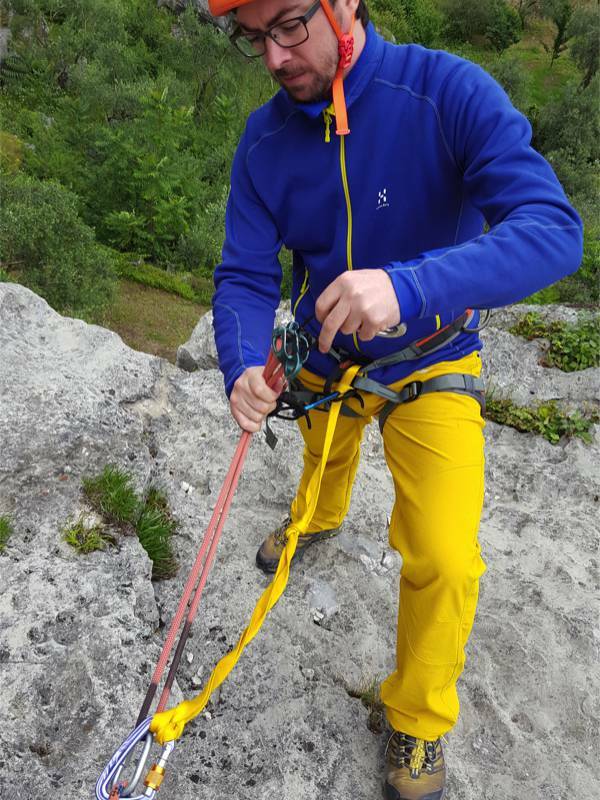 I also offer personal training programmes specific to improve technique and strength. 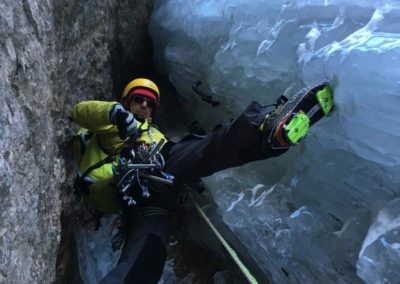 I propose to accompany you on ice falls, to teach you and fine-tune your technique. 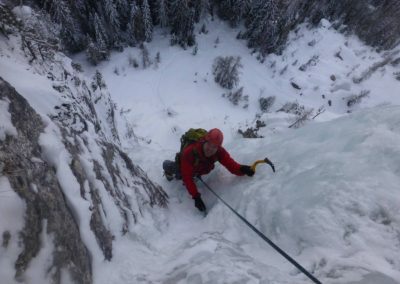 North faces and ice couloirs all over the Alps. 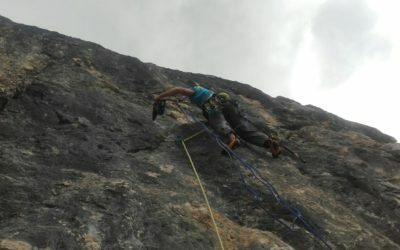 I organize climbing courses for all levels, from those who wish to climb a rock face for the first time to those wishing to fine-tune their technique. 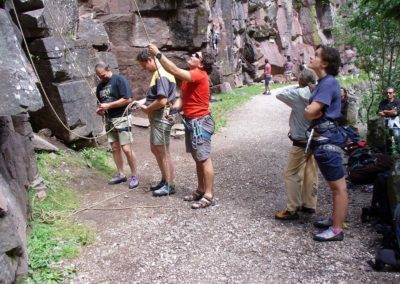 A beginner’s course, with the aim to teach basic sports climbing techniques and how to practice this discipline safely and independently. 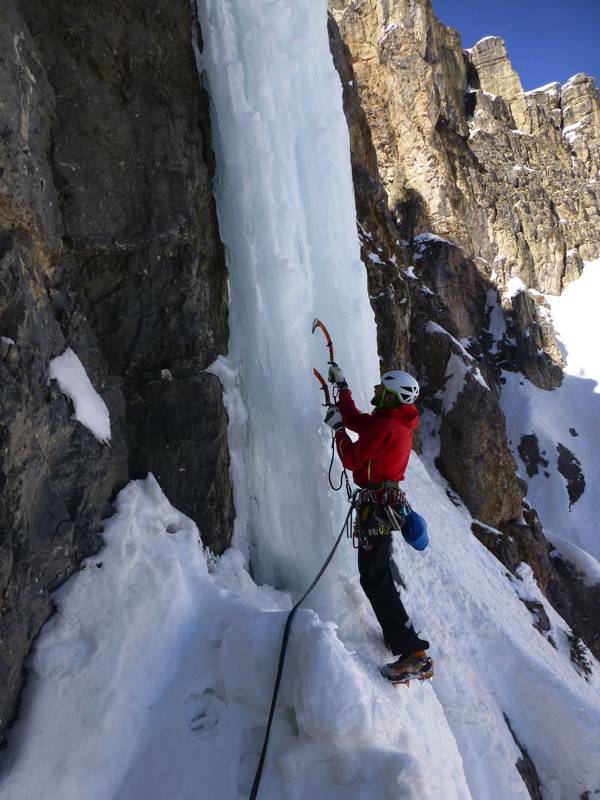 This course is ideal for people with little experience as well as for those who have already given ice climbing a go. 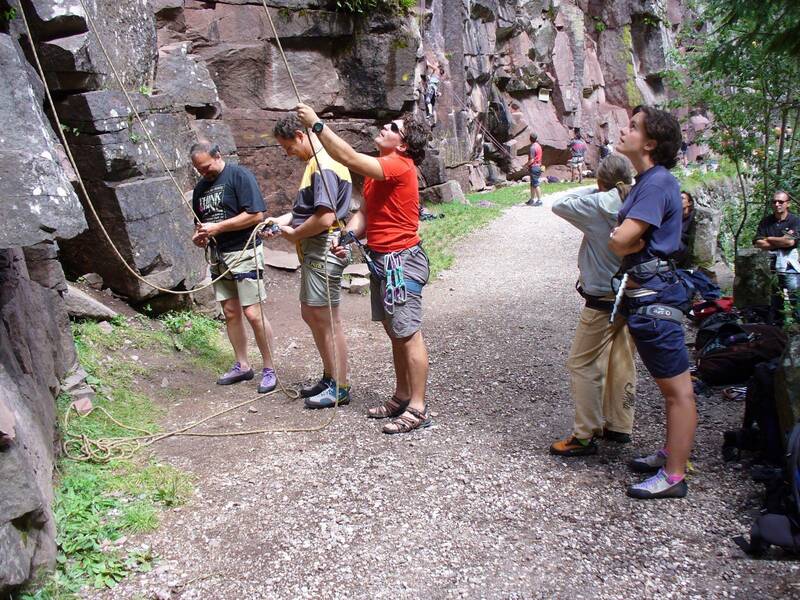 Various issues will be addressed, looking at the technical and educational themes to practice this discipline developing belaying techniques and progression techniques. The course is held during the weekends of December and January. The destination will be chosen depending on the best conditions at that moment. To find out more ask for details. Don’t miss the chance to discover all the latest news and events tied to our activities. 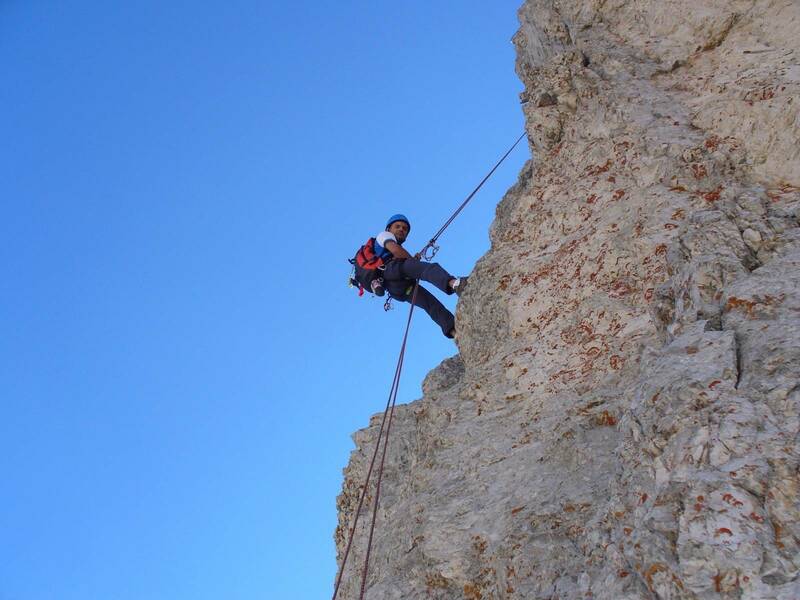 Summit: Buttress of Monte la Banca 2680m. 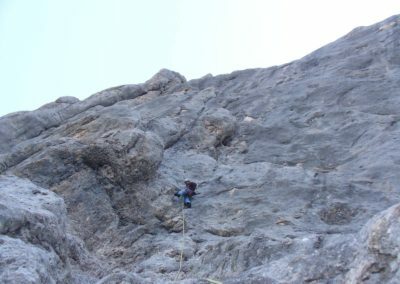 South West face. 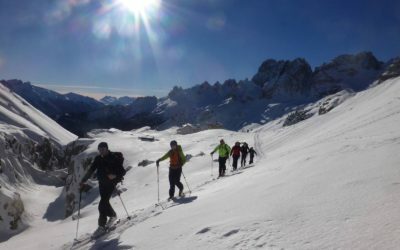 This kind of course is aimed at all those who wish to learn how to move safely in a winter mountain environment.